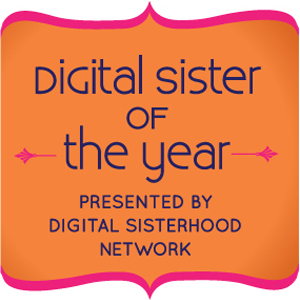 The Digital Sisterhood Network honored Shameeka Ayers a/k/a The Broke Socialite as the 2010 Digital Sister of the Year during Digital Sisterhood Month in December 2010. Shameeka is the Chief Lifestyle Officer of The Broke Socialite. In addition, she is a multitalented woman, wife, mother, daughter, friend, blogger, author of Instantly! : How Quickly I Realized I HATE My Job, and founder/producer of lavish!, the first unconference for lifestyle social networkers. She inspires, informs, and ignites a passionate spark of creativity that calls each of us to live a fabulous life by surrendering, having faith, practicing gratitude and generosity, and dreaming big! Listen to the December 30th episode of Digital Sisterhood Radio and watch the video below to learn more about this savvy social media woman. In 2011, she started blogging about her amazing heath and fitness journey with her husband Eric on Tumblr. Read about her participation and the Broke Socialite team’s success in the Susan G. Komen Race for the Cure held in Atlanta in May 2011. Follow her on Twitter @brokesocialite. engage in social justice advocacy online and offline. Their beautiful spirits, stories, and life work touch the core of humanity’s heart. They remind us how powerful women are when they connect and cultivate friendships, engage in conversations, build community, establish collaborative partnerships, and support social justice causes based on shared interests. Stacey and Mia are queer disabled diasporic Korean women of color who recently moved from the South to the San Francisco Bay area to create home and community with each other. They launched their To The Other Side of Dreaming blog as an-going experiential project that documents their journey to create collective access and home through letters and videos. Stacey was born and raised in North Carolina. She is a poet, writer, disabled justice activist and organizer, and former President of the Disabled Young People’s Collective. 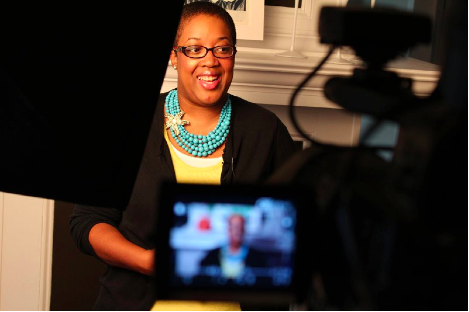 She is currently working as the Community Outreach Director for the National Youth Leadership Network. Digital Sisterhood Radio interviewed her on May 18. Click here to listen to the interview (31 minutes). Be sure to read Stacey’s amazing Cripchick blog. Follow her on Twitter @cripchick. Watch the video below to learn more about Stacey’s activism. Mia was raised in St. Croix, US Virgin Islands and spent 12 years in Atlanta, Georgia. She is a writer, disabled justice activist and organizer, and community caretaker. She currently works as the Program Director of Generation FIVE. 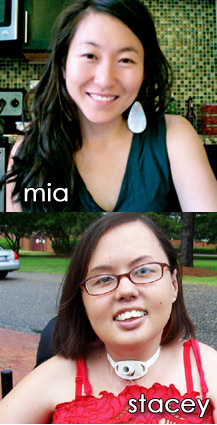 Click here to read Mia’s fabulous Leaving Evidence blog. Follow her on Twitter @MiaMingus. Watch the video below to learn more about her activism.